I offer specialized relapse prevention services for those wishing to enhance their recovery and to assure ongoing abstinence from alcohol, drugs, or addictive behaviors. Personalized relapse prevention training and behavioral skills-based counseling can help you cope with nagging "cravings" or urges to relapse. Cognitive behavioral coping skills help with the maintenance of your behavioral health. 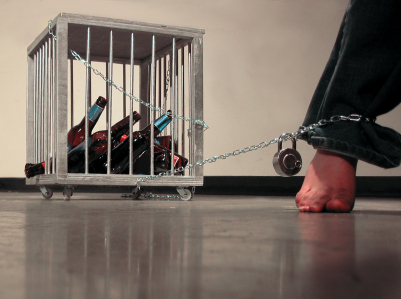 Maintain your freedom from addictive behavior! Pre-treatment Assessment and Post Treatment Aftercare Counseling: Many people "relapse" after completing an addiction treatment "rehabilitation" program. If you continue to struggle with "cravings" or nagging impulses to use drugs, modern cognitive behavioral therapy can help you cope. I also provide couples recovery counseling and family aftercare follow-up to formal addiction treatment and drug rehabilitation programs. Relationship counseling helps prevent relapse. Families can learn to support their loved ones rather than "enabling" or enduring the problems associated with alcohol and other drug abuse. People with alcohol and other drug problems can respond well to contemporary cognitive and behavioral methods of change. When one has sufficient personal motivation to stop abusing chemicals, individual therapy, couples relationship counseling, marital therapy and family educational counseling often helps! A Peculiar Two Fold Illness: An Allergy of the Body and Obsession of the Mind. Substance related disorders (chemical dependency) have been identified in the addiction rehabilitation literature as a progressive and predictably lethal illness. This is an outgrowth of the disease concept of addiction. With adequate self-regulation and personal relapse prevention skills, problems of substance abuse can be safely maintained in remission. Behavioral counseling helps you learn how not to use. Cognitive behavioral therapy (CBT) is so named because it focuses on the dynamic interaction of cognition (belief), emotion (feeling) and behavior (action). The practice is based on developing a clear understanding of just how our thoughts (beliefs) come to determine or shape our feelings (emotional experience) and therefore guide our choices for the actions (behavior) we take. Another way to view this dynamic is to see the process as that of a stimulus (an event that takes place in a person’s world) “causing” that person to have a thought (i.e. mental interpretation or judgment) which then gives rise to an emotional reaction. Through this dynamic process emotions get associated with various stimuli (various events). This is how “pathological” fear, which is frequently distorted judgment, starts and it is often where anxiety or depression begins. An outgrowth of anxious and depressive thinking . . .
What results, in someone with a propensity for negative thoughts (irrational beliefs) is a “cognitive-behavioral problem cycle” where, for example, a lack of self-esteem (rating oneself negatively) leads to complaints of “low self-esteem” (arbitrary negative beliefs about the self and self-berating) and a perceived sense of helplessness and hopelessness around accomplishing effective personal change. The way to break the cycle is not simply to decrease or get rid of maladaptive thoughts and beliefs but rather to recognize thoughts for what they are: maladaptive self-ratings, not correct, believable, or accurate reflections of reality. Both depression and anxiety problems respond well to various forms of cognitive therapy. Reality Distortion: Changing Your Mind . . . The client, with help and guidance from the therapist learns to see and become aware of these maladaptive irrational beliefs, which are really distortions of reality. He or she learns to dispute irrational beliefs and to develop functional thinking habits, which is termed adaptive thinking. This type of work seeks to repair and modify the reasons that people feel anxious or depressed — and modify the behaviors that are associated with such maladaptive thinking. To use a 12-step term, you learn to stop your “stinking thinking”! This is quite a clever psychotherapeutic “prescription.” It takes loads of dedicated rehearsal and practice to become a “masterful” (psychologically adaptive) thinker. Psychologists and counselors are trained to help others practice such adjustments in their judgments of the world, themselves, and others. This type of counseling is based on an abundance of scientific evidence that shows it to be an extremely useful adjunct to the resolution of anxiety and depression. What is CBT Used to Treat? This approach is best suited for the alleviation of behavior-based problems such as alcohol and drug addiction, anger management, depression (which is really deep sadness), anxiety and worry, panic, disorder, phobias (the irrational avoidance of certain things or situations), delusional disorders (reality distortions) and obsessive-compulsive disorder. However, the process can be used for a wide array of psychological, behavioral, and emotional problems. CBT was developed in the 1970s by a psychologist named Aaron Beck who grew frustrated with the pace of traditional psychotherapy. It is intended to be a relatively short-term treatment but it still has long-term mental health as its objective. Most treatments go 3 to 6 months but length of treatment is highly dependent upon the needs of the person being counseled. Many problem drinkers or drug users ultimately realize that are literally dying from drug abuse. Learn to stop the chaos and preserve yourself from the deterioration associated with alcohol and other drug dependency! Rehab is for Quitters: Helping You Find the Right Help! Personal and confidential recommendations for treatment matching to substance abuse treatment centers, medical detox hospitals, addiction counselors, psychologists and drug rehabilitation programs in Seattle and nationally. Referrals to detox and recovery centers throughout the United States.